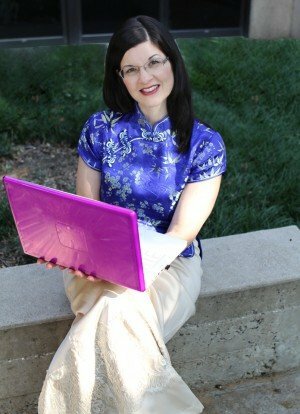 Best publishing practices-traditional or indie? I get asked what are the best publishing practices-traditional or indie? So which are the best publishing practices-traditional or indie? both? neither? Let’s take a look at some important factors before you make your decision. Sometimes it’s just about the money. Sometimes it’s about the message not fitting the traditional houses. Sometimes it’s about the concept being great, but traditional publishing houses have a brand and the traditional author must fit that brand 99% of the time. The other 1% is what everyone wants to be, but 99% aren’t. It’s always about your readiness to run your own business. How you do that depends on a lot of factors. For self-publishing, it’s wise to follow great podcasts. A few of my favorites are Joanna Penn’s The Creative Penn, John Vonhoff’s Writers and Authors on Fire, great marketing podcasts like Janet Murray of Souful PR and join groups of other authors who have had success. Doing it with no input is where failure lurks. I do both traditional and indie (the new catch-phrase for self-publishing). I do it because I have stories that don’t fit the brand of the traditional houses, yet they fit my brand. My brand includes radio. So I team up with others and have my own podcasts and radio shows. If you’d like to know more, please visit Historically Speaking (Along Came a Writer Network on Blogtalkradio), Grace Under Pressure Radio, and Lit Up! They’re all available on iTunes, though Lit Up! is just starting in February so those episodes on the publishing industry are in beginning production with Toginet Radio produced by Sandra Beck. You could also listen to the 13-week Writer’s Series on Coach Talk Radio all about publishing 101 for a great overview education with some wonderfully deep tips from the people Sandra Beck and I had the honor to interview. The next question is do I make any money? Yes, yes I do. In both. Yes, I’ve earned more with my indie books because (and here comes the “control” word) I control the variety of formats and streams where my books are available. So if there is a possible vehicle to produce and deliver a certain book, that’s what I do. I don’t worry if one stream is small because another makes up for it. But I don’t block the small stream either. My top selling indie book is a book that was accepted by a traditional publisher and then that line closed before it released. I did get my rights back. That was my first foray into the indie world. That book has now sold in 6 different vehicles (formats) from ebook, to a 2-author collection, a 6-author collection, paperback, to audio—and paid my bills for well over a year—1 story/6 vehicles (or streams of income) to deliver to the audience. However, I have another book that hasn’t blossomed while several others have hit Amazon’s #1 in their categories for months at a time and paid well, layering my income. I have traditional books that are collections, too. Those have hit ECPA best seller lists each time. The key is to get educated in all of the publishing industry and understand how it works and how you can build your business and brand in it. I meet too many people who want to have a best-selling book, but haven’t taken the time to learn how to make that happen. My constant mantra is: If you want to publish a book or books, you must realize this is your new business and get educated in that business. Then write more books and create more streams of income from each book. A store with one product on the shelf is a tough one to draw customers into. It’s the same with many start-up companies. They have an idea, and some have taken the time to get educated on how to use that idea in business. They have mentors, classes, supporters, systems in place. Some haven’t. Location matters. Price matters. Quality of the product matters. Customer service matters. Partnerships, suppliers, contracts with other businesses…it all matters. If you’re not good in business, it makes it really hard to be an indie author because you have to know about ROI (return on investment), accounting, marketing, design, content creation, customer service, presentation, etc. Yes, you can farm those out. But if you don’t know enough about the various elements of your business, you can’t make smart decisions about the options presented and will lose money. Another thing to think about, that is often missed, is the way those streams of income affect you. Sales seem to be the only number that traditional publishers can see and quantify right now. Truly, that’s a limit factor we as authors have to recognize. But in indie publishing, it’s not always sales where the author makes the most money. If you’re using Amazon’s KDP Select, most authors make the bulk of their money in borrowed reads. This concept is highly lucrative. 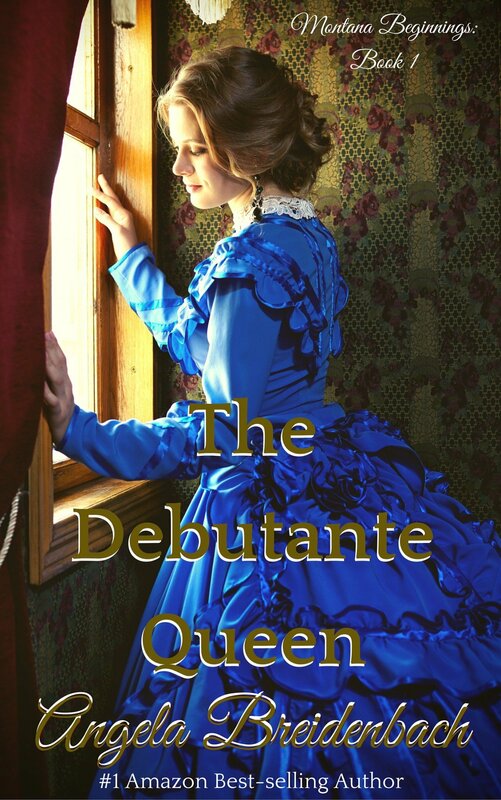 Example: In one year, one vehicle, my first indie romance book, The Debutante Queen, sold over 25,000 copies. I quit counting after that. BUT, that’s not where the income came from. I can’t even tell you how many millions of page reads it has had. At .005 cents per page, the math is phenomenal. Other books I’ve done have had great success on page reads also. I’m just using this one as an example. How do we help the traditional houses see that kind of success? I don’t know. The limit for traditional houses is that they need to be able to “go wide” for retail stores. So they can’t be exclusive to get the page reads. That would mean retailers wouldn’t want to carry the book, right? Hmm. Is there a way publishers can offer that same kind of opportunity to readers? It’s a thought to explore. And, it’s important to realize that all books move up and down in the ratings. Amazon doesn’t send a ratings report. They just have a weird graph that isn’t always the easiest to read and is maybe not as accurate as authors would like— who knows how it’s actually generated? So if you don’t capture your screen shot, well, you can’t always prove it happened. But you can download your sales/pages read reports each month. They just don’t say that you were #1 in 4 categories for 5 months and then held at #4 for another several. But I’m pretty happy to keep paying my bills. Wouldn’t you be? I define the success of my business. I’ve always wanted a career that could provide for my family while allowing me to do what I love-write, read, speak, explore my curiosity. I LOVE my job! I know I love what I do. I know it provides what my family needs. That’s the ethereal “success” I’ve been chasing. Now it’s tangible. But why do I do it, you know, besides the fact I like the tasks in my workday? Because I have always wanted to be a positive influence on my community, country, and world. This career allows me to combine all the opportunity of family provision and community connection into a very fulfilling life experience. I love and appreciate my readers. I want to offer readers a fulfilling experience, too. So, when making a decision about the best publishing practices—traditional or indie or both—for your business, you have to do your homework and make decisions along the way to provide income, protect your business, and grow it. For some people it’s one or the other. 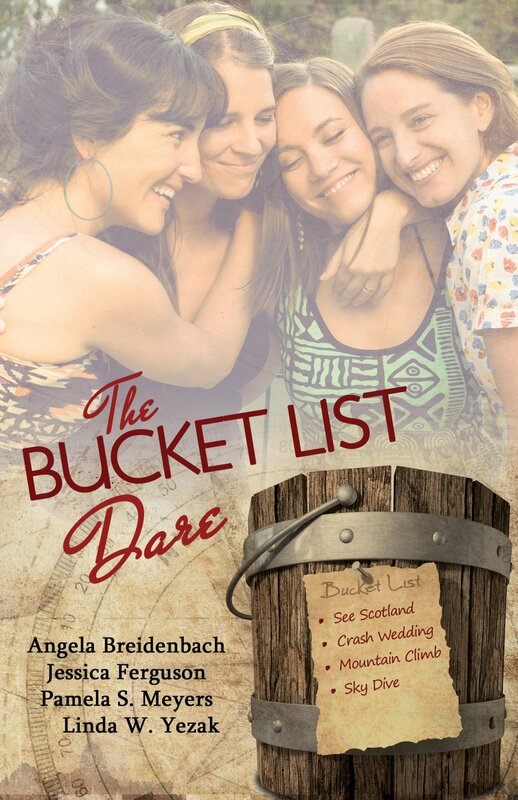 The Bucket List Dare, novella collection about 4 friends who dare each other to dream big! For me, I like the wisdom of having seven streams of income. I try to create as many of those seven streams per book as is possible and then I also try to create related streams of income from that book. Ideas: ebook, boxed set collection, audio book, audio book series, paperback, hardback, podcast reading of chapters, blog chapters, traditional, products from that book like journals or coloring books… You do what fits your brand and builds a variety of income streams for each book. Learn about the publishers you want to pitch. Do you fit their brand? If so, submit and see where that goes. If not, consider starting your own business. But please, get into the groups like ALLI and listen to some excellent writing podcasts and attend writing workshops and read craft books and learn marketing…and then self-publish. But not before you talk to a lot of people who have forged the way ahead so that you can avoid the potholes others have tripped in. Some of those are deep sink holes. And some are simply a wake up call that you need to learn a little more. But why trip when someone else has the map around them? I love both indie and traditional. Choose what’s best for your business, but remember to be kind, courteous, and supportive of those deciding for their businesses. One is not “better” than the other. They are simply vehicles to your business goals. 1 What is your business goal? 2 What is your definition of success for your business? 3 How well thought out is your business plan? 4 What do you need to learn now? 5 What do you need to plan to learn by putting it on your calendar? 6 What other streams of income can each book naturally create? 7 Who can I collaborate with, that wants to collaborate with me, to build opportunity?